You have come to this page today so that we may connect. Through this connection, I pour upon you the Love, the Light and the Peace of the Celestial Realms. I come from a vibrational field of very high energies. I am known as Archangel Haniel and have traditionally been associated with the planet Venus; The Planet of Love. Many ascended beings and avatars bearing this energy, have come to earth throughout time to help you on the earth plane to return to the frequencies from whence you came. Your Soul came from Love. Your Soul is a fragment of God. God is love. You are a part of God and your true nature is that of love. Your true nature is all powerful and unlimited. It is your ego that holds you back all the time. The ego is false creation of humanity which is limited, small and fearful. As you become aware of the true nature of who and what you are , i.e. a powerful , unlimited being , and you operate from that aspect of yourself, life becomes so immeasurably easier and happier for you. You find the promised 'heaven on earth'. Become aware of which part of you is in charge. If it is ego it will tell you that you are greater than others or less than others, better or worse . It will tell you that you are not enough or that there is never enough. It operates from either a sense of superiority or inferiority. It keeps you separate from the whole. It keeps you limited and fearful. When you operate from your Soul, you are powerful because you are aware that you are part of All-that-is / God. You know that there is no lack or limitation. How can there be? God can not be limited. So, my dearly beloved ones. Keep watch. Keep watch on your thoughts and on where you are putting your focus. Develop a new habit. It becomes a new habit as you give it attention. The new habit is to connect with your unlimited Self; your Soul energy. And , when your ego pops up to give its fearful opinions, just lovingly turn aside and tune in to your Divine Soul. I, Archangel Metatron, greet you at this time of shift and change on your planet. My area of reponsibility is to be the guardian of portals of time and space; portals to alternative realities, the keeper of the key to dimensional shifts. Mankind and all of planet earth is experiencing a great shift at this time. I am here to help navigate you safely through it. It may be a rocky journey, but fasten your seat belts. You will be safe. Your seat-belts are your ability to stay calm. To keep connected to your very own Higher Self, to not let your little ego panic you into believing that you are in danger. Certainly, there will be challenges. These challenges are already happening as all around you you witness the breakdown of old structures. Political chaos everywhere. Financial uncertainty. Geophysical change and climatic disasters. The old has to be broken down and swept away so that the new and better arrangements can be put into place on planet earth. Keep aligned. Now is not the time to run away from individual responsibility. Each one of you is part of the whole. You are all connected. Treat others as you would wish to be treated. Be kind and responsible towards all living beings and to your beautiful planet. Pull together. Adopt an attitude of co-operation rather than competition. Raise your sights. Do your best to keep on the wavelength of light and love. There are glories to come that will amaze and astound you. Call upon me, the Angelic Hosts and the Brethern of Light who are all around you . We are on a frequency where you cannot see us (yet) , but we are here. We are here , on another frequency, right by your sides. Some of you can see us, others feel us and many are not aware of us at all. But whether you are aware of our presence or not, I can assure you that we are here. So , suspend your disbelief and connect with us. Our sacred mission is to assist humanity. We always have done so, since the beginning of time. Many of your religions have taught about us. And we have been known by many different names such as Devas, Daemons (not demons) , Light Beings, Personal Gods , etc etc. Whatever names you know us by, it does not matter. Names are a human invention. We are here and it is not only our mission but our delight to be of service in guiding, helping, teaching and guarding humanity. Whenever you call upon us, we respond. We are loath to interfere with mankind's free will, so we prefer to be invited into your lives. But we will intervene in dire circumstances without your invitation. We will help , not only with what you consider to be the big issues in your lives , but also in the little things; the things you may term trivial. Because to us, we do not measure. Your big and little needs are just the same to us and we love to help. We are only a frequency away. Now that you have come to the beginning of what you refer to as a New Year in your measurement of the passing of time, call upon us to give guidance to you in setting out your visions for this coming phase of time. If you need direction, we will find a way to get that message to you. Find more time for meditation so that you may connect not only with us, but with the Divine Guidance of your own Divine Higher Self. 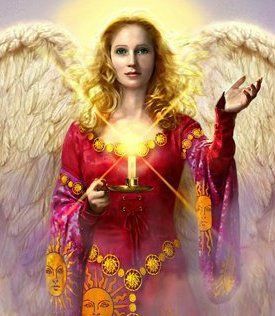 Take time out to sit quietly and go into your Sacred Heart to connect with the flame of Love and Light that resides within you; your true Self. As you do this, it not only helps you in your own life, but you become a beacon of Love and Light to all whom you encounter, wherever you go. Honour your own inner Divinity: The Christ/ Krishna within. Stop limiting yourself, for you are far, far more that you think you are. We are with you . Much love and light to you. Dearly beloved Sisters and Brothers. This is such an important time in so many ways; cosmically and astrologically, this time is a turning point for mankind. We encourage you to Create, Create, Create. With these powerful energies to help you, it is like having the wind at your back as you move forward into a new dynamic: a new way of being. You know, intellectually, that you create your reality by your thoughts. Every thought you think, whether it is positive or negative, is creating the framework of your future. just for the heck of it! You wanted to know what pain would be like, or how it would feel to be hungry, or sad or abandoned or tortured or exposed to any and all of the negative elements of earthly existence. You, as part of Source, wanted to take back to Source, the experience of actually feeling and living those things. You've done it. Now most of you want to change it, you want to experience the 'good stuff'. You can. Remember, it is a planet of choice and you are a creator. You can (and always have) chosen what you wanted to experience. The Universe will deliver. If you think of Abundance, you will attract just that. It is all about frequency; the frequency of your thoughts. Most of your thinking is unconscious, and thus you have less control over what you are creating. The trick is to become more conscious. As you become more conscious, you become aware of your dominant thoughts and if they are negative, you change them. CHOOSE your thoughts. Think of the Universe as a big supermarket. The shelves are stacked full of all sorts of things, positive and negative. Some people are still choosing the negative, as they have free will. (And they are still unconscious) But you do not have to. You do not have to put anything in your shopping trolley that you do not want. It takes discipline to observe your thoughts. How you are feeling will be a good guide. Your feelings are your Sat/Nav (GPS). If you are feeling low, that is an indication from your Higher Self that you need to change some thought you are running in your mind. The more you focus on your thoughts and become conscious and aware; you will find it easier and easier as you go along. Negative thinking may have been your default setting and you may not have been aware and your life was a continuous struggle. Now you are catching the thoughts, changing them, creating a new habit and changing your frequency. You will soon find that your feelings are of joy and you start to attract positive conditions into your life. ..YOU are the only thinker in your mind. It is up to you. And watch the tendency to go along with 'what everyone else' is doing, saying or thinking. As YOU change, you affect the whole. You are part of the whole. And the more people who change, eventually, through the 'hundredth monkey' principle , the whole will also change and then there is Heaven on Earth. Greetings from the Angelic realms! I Archangel Muriel , bring you blessings and tidings from the Angelic host. 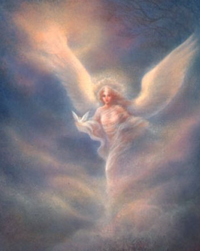 The host of a multitude of angels who are here to help and assist mankind. We draw ever closer to you at this time of sweeping change. Many of you are feeling these changes of frequency and vibration. You may be having unfamiliar sensations in your physical body, or be feeling extra tired. This is all due to the downloading of cosmic light from the centre of your galaxy. This cosmic or photon light is increasing in its power as it brings that long awaited light to earth. Those of you who are sensitive to frequencies and who have prepared yourselves for these changes will be well aware. Whereas those who are stuck in old energetic patterns or who desperately hang on to the old way of being, are struggling now. This cosmic light stirs things up as it penetrates the darkness of eons. It can be very uncomfortable. Stay with it. It is all coming in for a very positive reason. If you are a healer or a lightworker , you will be called upon by those who are fearful or who do not understand what is happening. We are here to help you , so call upon us for help with your healing work. You have incarnated for this. And before you incarnated , we agreed to help you. This light is also showing up the many things that have been hidden from you . So be prepared for all kinds of revelations in the coming years. And the forces who would hide the truth from you will exposed for what they are. Prepare the physical vehicle of your body for this empowering influx of light, by meditation, taking time out to recharge and to just be. Also try not to pollute your physical body with toxic substances or foods that have a heavy vibration. 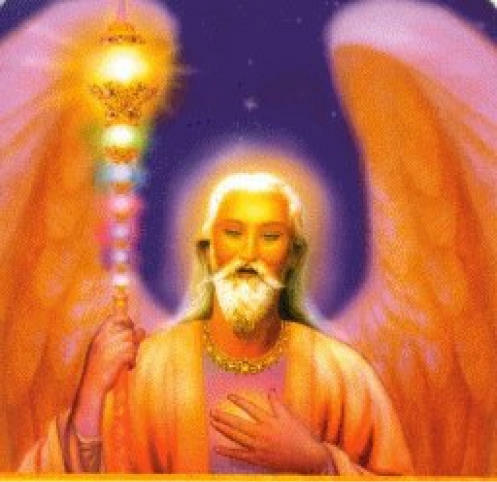 Link in often to the angels, to your guides and to the Keepers of Light ; the Ascended Masters . There are many non-physical beings around to help you in this time of change and transition. 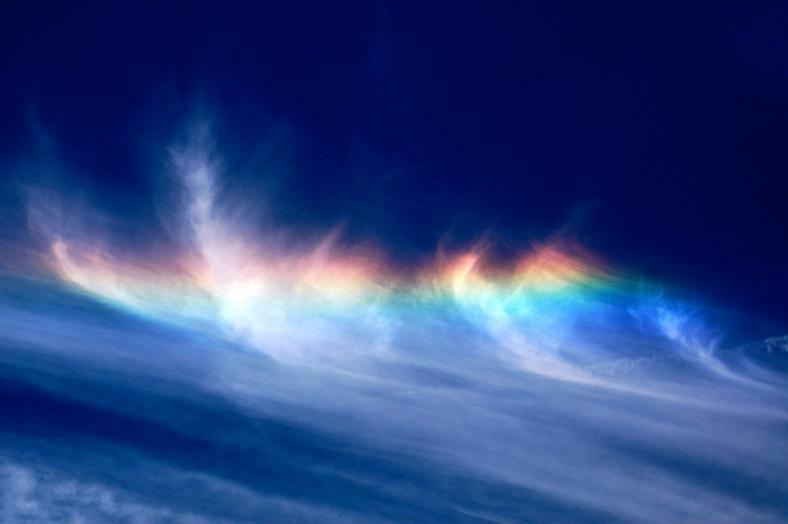 This incoming light increases your psychic and healing abilities. You are becoming more and more of your true self as the darkness that cloaked your true nature is being dissolved. That is why it is important for you to make time for meditation and reflection, so that you can be aware of your increasing connection to the non-physical world around you. I, and others, pour upon you a multitude of blessings and divine love. Take some time out of your usual routine, even if it is just to go to work by a different route. Jog yourself out of the state of routine. It is so easy to become a 'sleepwalker' if you do the same old thing over and over: then everything becomes automatic and you become an automaton. Wake up, do whatever it takes. Then you will find new ideas and new experiences are irresistibly drawn to you. Be especially aware of your dreams at this time. If you call upon me for guidance for your direction in life, I will send you guidance in any way I can. One of these ways is through dreams. Keep a notebook by your bed to write down any ideas or symbolic messages that come to you. You are on the cusp of change and I will help you to find new direction. You life is now ready to be turned up a notch or two. You have a mission on earth. You have always known this at some level but may have got side-tracked. Call on me, ask me for my help, then try some meditation. 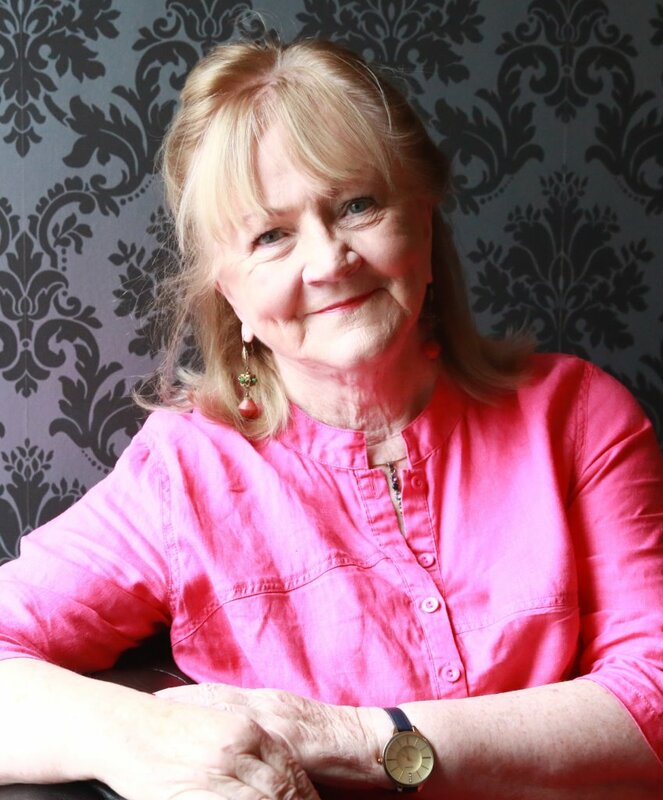 Don't try too hard, just get yourself in a 'listening' mode and take note of images, impressions and ideas which come to you. And don't analyse them. Take note of all that comes to you, no matter how bizarre it may seem. And ask your self what truly makes your heart sing. Greetings from The Hosts of Heaven ! ALL of the angels are here with a message for you this month. We wish to assure your of our loving, helpful presence in EVERY area of your life. You may think that we are here to only help you with Spiritual things. That is not so. A great teacher said 'He hath given his angels charge over thee, to help thee in all thy ways'. He did not say some of thy ways or thy spiritual ways. No: ALL thy ways. We are here to help in every area and every aspect of your life. We do not judge what is more important or less important. If it is important to you, we will help. There are angels for everything. Angels to help you with your relationships, angels to help with your work and career, angels to help with your health, your home, your hobbies, your friendships. There are even angels to help with inanimate objects like your domestic appliances, your car, your computer. Angels to help you to grow and to learn. Angels to help you to find your way. Whatever you can think of, there is an angel to help with it. 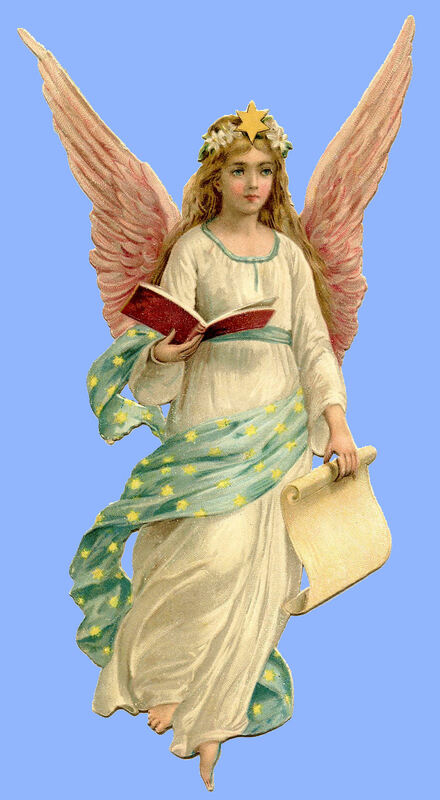 Now, you have probably read some lovely books on angels and they will tell you the names of each particular angel and what the name of the angel is who is in charge of any particular area. Then when you want help, you can't remember the name of the angel. Don't worry. All you have to do is say something like ' Angel of relationships, please help me with my relationship issue', or 'Angel of exams, please bring the answers to my mind' or 'Angels of computers, please help me to work this darn thing out', or 'Angel of parking, please find me a parking space and find me one which is near where I want to be and easy to get into and out of'. Just call on the angel who is in charge of that particular thing and he/she will work it out. Names are not important. Not to us anyway. We love to help. It is our joy to help you. Call upon us. You can call upon the angels to help others too and to help the world. We are here. Nearby. We love you and want to help you. So, why would you worry? "He hath given his angels charge over thee, to help thee in all thy ways. They shall bear thee up with their wings , lest thou dash thy foot against a stone"
What a wonderful Divine Promise. I am Archangel Razael. I greet you. I am known as the Magician or the Alchemist among the host of heaven. Magic is a change of perception. You, my dear human brethern are now at the point of claiming your power; your power as creators of your own reality. You have always created your own reality, but you did not know it. Now you do. Or most of you do. Especially the ones who will look at a website about angels and who will read this message. Mankind in his earlier times created his reality unknowingly. He looked upon an outside force; a deity of some kind. And then when things did not turn out right, he could blame the deity or blame some outside force; 'the wrath of the gods' ; karma; fate; destiny. Now you are waking up. You are realising that you are children of God; part of the creative force. Made in the image and likeness of your creator. Your 'new' physics (new to you, but it was always there, just your understanding of it is new) tells you that you are the observer of the great experiment of reality. Your physics also tells you that the observer affects the experiment. Ancient Wisdom has been telling you that for eons! You have grown up. As a 'grown-up' you have to take responsibility. While you lived in childish ignorance, you could blame all and sundry, but now you know that as it is you creating it all, its a bit of a shock. 'The buck stops here' you might say. But we , the angels, are still here. We can and will help you. Connect with us. Ask us to remind you when you are unconsciously creating negative situations for yourself. Then as you become conscious, we will help you to change your thinking. And as you change your thinking, you change the situation. Call upon me, ask me to add my energy to your manifestations. I can give your manifesting added weight. I can be the added ingredient which will hasten the outcome. Go forward. Be brave. Think positively. Create a brave new world. 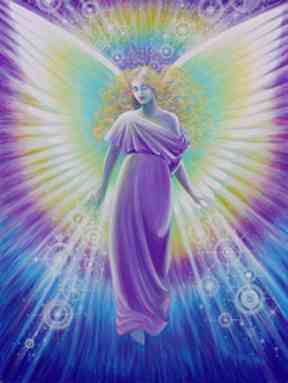 I, Archangel Haniel, greet you and I bring you much love from celestial realms. The Big Shift, long prophesied, is happening. Can you feel it? There is change in the air. Despite what you learn from your media, LOVE is spreading everywhere. Humanity is becoming more compassionate towards one another, towards the animals and towards Mother Earth. Selective viewing of Social Media is showing this spreading of Love, of Caring, of Awareness. There is a waking of consciousness. The old guard is weakening. In their weakend state they are lashing out in panic. They know that the forces of Light are overcomiung the darkness, so they are putting up a last stand by trying to frighten you with bad news and spreading panic. It is not to say that there is not any bad news. Of course there is. But it is lessening and the good is overcoming. Folk are reaching out to the less fortunate amongst you and doing all they can to improve their lot. There is more concern for the hungry, the diseased, the homeless, the victims of 'man's inhumanity to man'. There is change. Everywhere humanity is becoming more caring of the environment . The use of polluting plastics is much in the news and many are making a tremendous effort to combat this destructful habit. People are becoming more aware of the toxic produts they have been using and are changing to more caring solutions. There is more care and concern for the animals who are your brethern. Many are turing away from eating the flesh of those animals. Everywhere there are souls who have long been asleep, at last waking up. Mankinds psychic powers and healing powers are returning. More and more light pours onto the planet. As the Light pours in , it shows up the darkness, so that there may seem to be more darkness about. It is not so. The darkness is dissipating. Rejoice my beloveds. Heaven is coming to Earth. Greetings from your friends in the Angelic realms. I, Archangel Haniel, connect with you to Bring you love and blessings from on high. We are here , right beside you , at this time of great upheaval and great change on your planet. Change always involves a certain amount of pain. And we understand that and we sympathise with you and we try to enfold you in our loving rays of light and healing to help you through. The whole of mankind is now undertaking a shift of consciousness; a raising of frequencies. Some of the less evolved among you will find this very disturbing as they do not know what is going on and they become afraid. In their fear, they lash out and behave aggressively. Be patient. Send them your Love and your Light. They need it more than ever. There are only two basic emotions...........Love and Fear. Those who do not operate from love will instead operate from fear. That is all they know. Counteracting that with more fear or with anger or condemnation (all other names for fear) will only exacerbate the situation. No matter what you think, send these people love. Even if you do not feel like doing so; even if you have to do so through gritted teeth! LOVE transforms. It softens even the hardest heart. Keep on sending out the frequency of love. Instead of condeming those you see as being wrong, send them love. Do this for the warmomgers, the greedy, the big corrupt multinationals. There is no other way to change things. Love is the way and the only way. Love will win out in the end. And the time is fast approaching when you will see positive results. Positive change is already happening but is not so visible yet. Hold fast to your belief in good and in positive change and in love. I guard the gates to other realms, to parallel realities and to other space/time realities. Creation is so much more fabulous and fantastic than your mortal minds can conceive. One day, as you evolve spiritually, you will traverse the cosmos. Your Light bodies can do this right now, but your fear holds you earthbound. You stay stuck very close to your physical vehicles , your earth bodies. That is very understandable, as you fear that if you get too far out of your body, you may never get back into it again ! Is that not so ? You are safe. Your spirit is connected to your body by what is known as 'The Silver Cord'. It can stretch endlessly and it cannot break. So you will always be pulled back into your bodies until the time comes for you to leave altogether; what you would call die. Have you sometimes been drifting off to sleep and you suddenly jump or you feel a sudden jerk or you feel you are falling? That is when you have gone out of your physical body and your fear jerks you back in again. But you also go travelling quite a lot in your sleep state. In deep meditation, you can also leave your body and travel to far parts of the cosmos. Don't be afraid, before you set out on your journey, ask me to accompany you. I will then be there by your side, together with your own Guardian Angel who always accompanies you. I will steer you to far reaches of reality , to untold wonders and to fantastic realities. You are a Cosmic Voyager, beloved. Don't give into fear. Have fun, your very existence here was meant to be a joyful journey of fun and exploration, not a state of limitation and drudgery. Change your focus. Of course, I am not encouraging you to run away from your lifes responsibilities. But You can do both. You can go about your daily duties and your life's purpose and still have time to take a joy-ride to faraway playgrounds, celestial cities and fantastic realities. And you will come back refreshed and recharged. Just like you do when you go on your annual holiday or go on a fun day trip. Has life always got to be serious ? No. Lighten up and experience the joy that is all around you and available to you and to the other realities that are all about you on other frequencies. Your consciousness in rising, you are 're-membering'(re-cognising) your inherent powers. So many of you are becoming more clairvoyant and more psychic on so many different levels. Some of you are remembering your power to heal. You also may be more aware of your power to manifest. 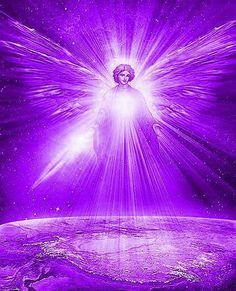 I am Archangel Zadkiel. I bring you tidings of good things from the Angelic Realm. I am known as the Angel of Wisdom, Success and Abundance. It is also my great desire to bring Integrity into business and business dealings. Integrity has to be the watchword of 2018 . Any endeavour, business or enterprise that is not in alignment with integrity this year will only know frustration and even failure. Find you passion. Foster a desire to be of service in your chosen field. Embrace Integrity and your success is assured. As you have already seen, the world is in a state of great chaos, change and uncertainty. This has to be. It is the falling away of the old paradigm which was rotten to the core. The next few years will contunue in uncertainty. But if you are aligned with Integrity you have nothing to fear. Just keep your head down, attend to your own corner of the world and you will prosper, even in the midst of apparent chaos. Align with me and my energy, invite me to support you in holding on to your ideals. 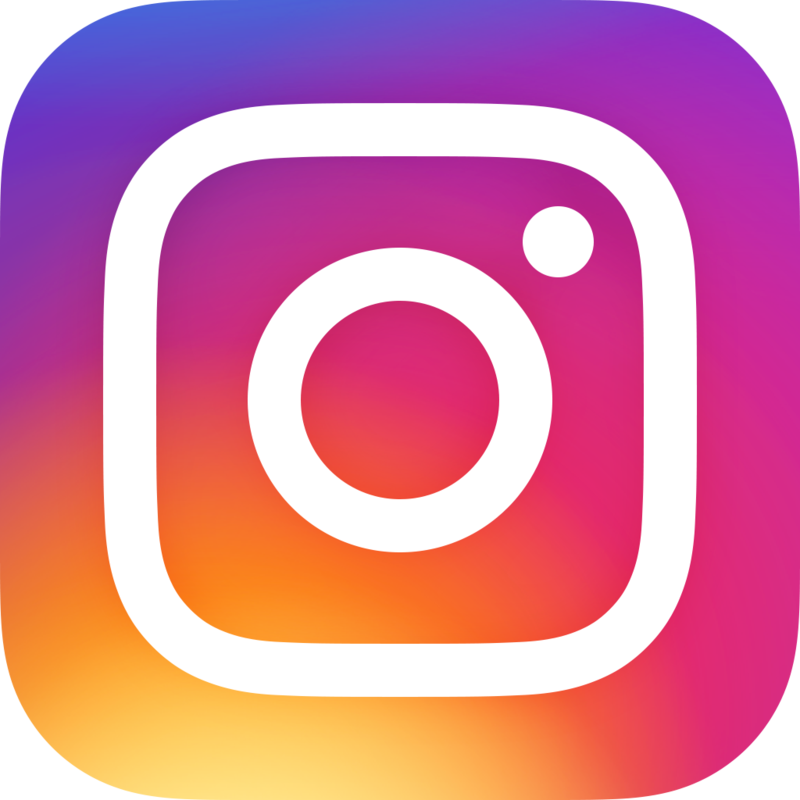 As you link in with me, be open to the promptings that I will endeavour to download to you. Meditation is one way of connecting with me. Set your intention before your meditation and my whisperings will reach down to you to uplift and inspire you. Time spent in meditation can save you hours of fruitless endeavour as you receive the guidance that can propel you forward. Those working with Integrity , in any field, can expect a bumper harvest in 2018. May Heavenly Angelic Blessings shower upon you and may you thrive and prosper in Love and Light. 'Be still, and know that I am God'. Now is a time for inner reflection. Time to go within and to remember who you are. As a great teacher taught 'Know ye not that ye are gods and sons of the most high'. Take yourself out each day from the busyness and the business of life, even if just for a few moments, and link in to your own Higher Self/Divine Self. Your Divine Self is the truth of your being. The ego, which tries to run the show is the false and limited self. Yet, it is from this limited ego that most humans try to operate. Operating from what is limited can only produce that which is also limited. When you operate from the Unlimited Divine Self, then you live without limitations; life opens up and miracles occur. Therefore, it is so very important to take time out and to remember and to connect with the Divine Self. You do not need to spend hours meditating to do this. Just sitting quietly several times a day for a few minutes while you focus on the Real (the Divine Self that is the truth of your being) soon brings you into harmony with unlimited goodness in all areas of your life. The more you do this the better your life gets and the more you do this, the more your conscious connection to your Divine Self becomes second nature to you. You will then see your life change beyond measure. This is how to create 'heaven on earth'. 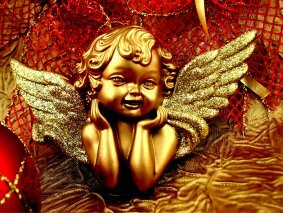 Love, light and blessings to you from the Angelic kingdom. The veils are truly lifting now. You, mankind, our beloved kindred, are finally stepping into your power. You are reclaiming the power that was lost to you eons ago. You have been cheated of your birthright. We admire you for your persistence and perseverance. We have done all in our power to help you without interfering with your free will and your right to determine your own fate. Many of you have called out to us and that, therefore, has given us the permission we needed to come to your assistance. We have been able to protect you from some evil but not from all. There are still many lost souls on the planet. See them around you; send them your love and your light. In sending them light you will not diminish yours but will instead fan the flame that is hidden deep within the recesses of every human heart. Hidden wrongs and injustices are coming to the surface now. The Light is seeking out even the darkest corners. And this is just the beginning. You will see more and more happening as the year goes on. Those of you who have kept the flame alight are finding that you are stepping more and more, back into the power that was lost to you as a species. And, as each of you reclaims that power, you impact upon the collective consciousness and the Whole/ the Oneness of Humanity is lighting up. From where we observe it, it is a glorious sight. The light getting brighter and brighter. We applaud you. Yours has not been an easy task. We congratulate you. We welcome you back into the fold of the Children of Light. Yours, ever by your side, in Light and Love. Greetings . I am Archangel Jeremiah. Be not afraid. We , here in the angelic realm, know how worried you all have been of late. Particularly with powerful nations threatening one another and both of these nations having abdominal weapons of annihilation. The Divine plan does not include annihilation of your planet or of the entire human population any time soon. Forces of good are everywhere too, and work sometimes secretly and sometimes not so secretly, to make sure that total destruction is not allowed to happen. Be aware that there are very powerful forces, seen and unseen, who work for the preservation of life and the improvement of conditions for mankind, all of nature and the planet herself. So much good is going on right now dear ones. You won't see it on your news nor in your newspapers. Not yet anyway. But it IS happening and the time is not far off when the good news will burst forth. Until then, be positive. Love one another and love Mother Earth and all the creatures who share the planet with you. We are here, all around you, seen by some, invisible to many. But here nevertheless. Here to guide, love and protect you. We keep a cloak of Light and Divine Love around you all. Enjoy the gift of life while you are here. Do not allow your happiness to be overshadowed by fear. For remember, Fear itself is the great enemy. You are loved. You are love. Therefore, be that which you are. As you read this, I shower Peace and Live upon you. 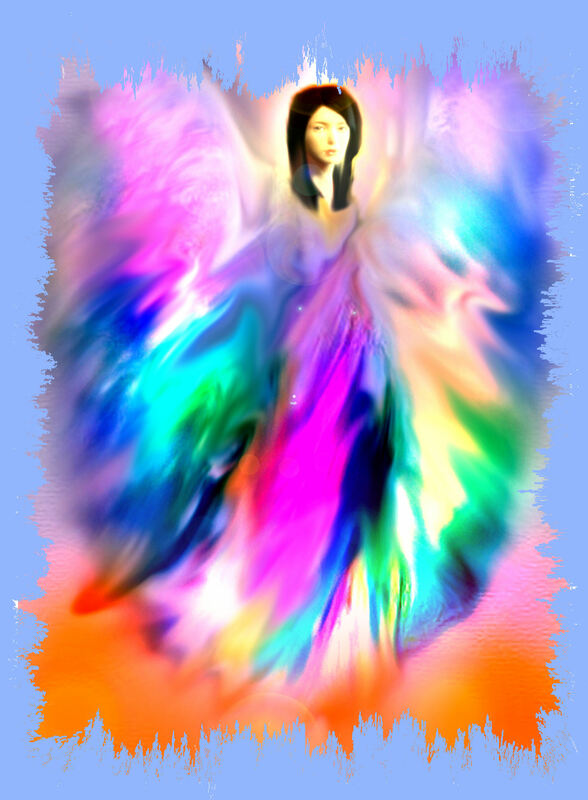 I, Archangel Raphael, bring you healing, peace and joy. Your world today is a place of turbulence. This turbulence is being experienced in both the collective consciousness of mankind and in the lives of individuals. The Division is taking place. The separation of the Light from the dark. In the Christian bible it talks about the separation of the Sheep and the Goats. And in the Kabbalah, the world of Woe or the world of The Blessed. These worlds will exist side by side. If you are working with The Light, you will be protected in your own bubble of Peace while all around you chaos may reign. By the work you have done on yourself you have earned the right to be in this bubble. Those who are experiencing the chaos are being given the opportunity to grow. They have been given opportunities already but may not have taken them, so now the universe comes back with more lessons, more opportunities to wake up. What about children you ask? Why do they have to experience the chaos? No one who is born to this earth has a blank slate. Unresolved issues from previous lives come with each soul. Earth is the school, the place of learning and sometimes lessons have to be hard before the student finally gets the message. Keep projecting the Light in every situation. In this way you can contribute to the healing of the collective consciousness. Condemning and judging any soul will keep them in the darkness for longer and will delay your own progress. This is a time of a big WAKE-UP CALL for humanity. 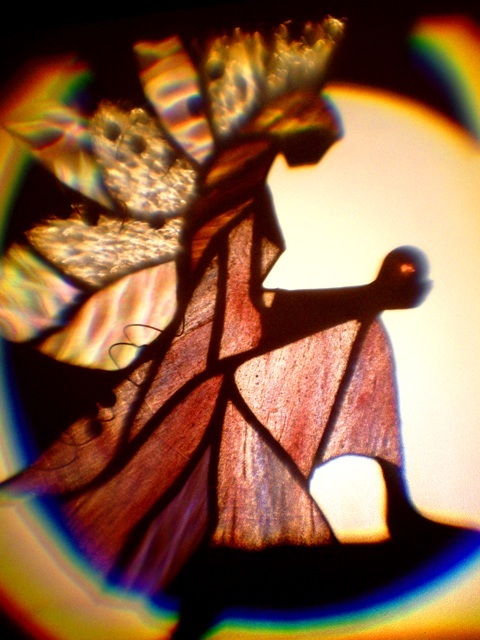 I am known as The Archangel of Love. And I bring you much Angelic Love. LOVE is the Creative Force of the universe. Love is who you truly are, you came from Love, you are Love and you will return to Love. Sometimes you forget that this is the true nature of who you are and you entertain fear. Where there is love, fear cannot exist. So when you feel fear, bring your attention back to love again. Where is this Love? It is to be found in your heart centre. Take your attention away from your head and your mind and your brain for a few minutes, silence the mind and the thoughts and bring your attention to your heart chakra, the centre of Love that is right in the middle of your chest area. Take a few deep breaths and be still. Feel the enrgy of the Creator all around you and know that you are not separate but intimately connected to the Creator, whose true nature is Unconditional Love. You are a part of Creator and a part of this unbounding Love. When you feel this, you will fear fear dissolve. It has no real substance. Fear is a shadow that blocks out the light of truth and love. let go of the fear. Hand it over completely and without reservation to Creator and be at peace. Archangel Michael has asked me to share this lovely poem by Christoper Fry with you this month. It sums up what is happening on our planet right now. Think on it. Act on it! when wrong comes up to meet us everywhere. Never to leave us till we take the longest stride of soul man ever took. 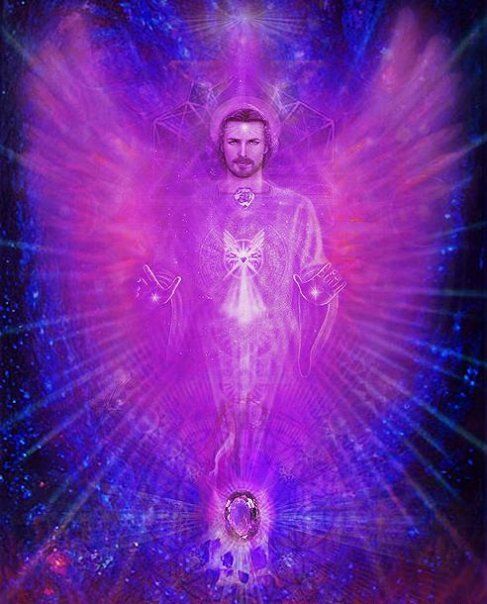 I, Archangel Metatron greet you! I come from the vastness of time and space to bring you tidings of joy and peace. You are all well aware of the uncertainty and unrest on your planet today. This is but the birth pangs of a new paradigm. Birth , for humans, has always been a painful process. You are now at the birth of a new age; a new time; a new humanity. All that is and has been wrong with your world is being exposed. Wrongdoing and wrongdoers are coming into high visibility, so that they may be known for the truth of who and what they are. If they were to remain hidden, the situatiion could not and would not be changed. The turmoil is not over yet, but hold fast, mighty Unseen Forces are here to help you. We pour in the light of high frequency energy to assist you all, to keep you positive and to help you to make the neccessary changes. You must play your part too. Focus on the good; the right; the positive. Share your love when and where you can. Do not entertain fear as that is what the worngdoers would love you to do. They love to hold you in a state of fear as then you can be controlled and they would love to bend your wills to serve their own agenda. Try not to focus on the bad news. Be compassionate but do not give it energy. Seek out the good. There is plenty of good out there and plenty of good people. Find them; unite with them; share your love with them and create a new Family of Light. Share good news. Be a source of positive inspiration. Stay away from negative people, places and things. Shine your light. Call upon the Angelic Kingdom and the myriad of Light Beings who are serving at the birth of the new humanity; the new world. We are here to guide, guard and inspire you every step of the way. We rejoice to see the dawning of this wonderful new paradigm. May blessings be showered upon you all.